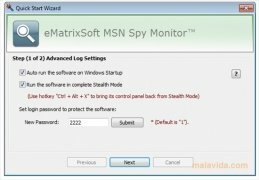 If we find ourselves in a situation in which we believe that it is necessary to analyze the conversations that we maintain over Live Messenger or MSN Messenger, we will have to install on our computer an application like MSN Spy Monitor. 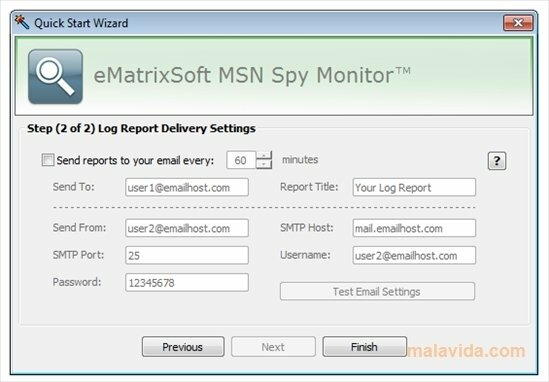 It is a small tool that works invisibly in the background and that registers all the inbound and outbound messages that come through the Microsoft instant messenger client, to later send the contents of the conversation periodically to an email or FTP address. 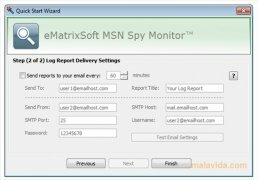 The application has a graphic interface by means of which we will be able to configure all the things that refer to viewing conversations, sending emails or passwords to protect the application, amongst many others. 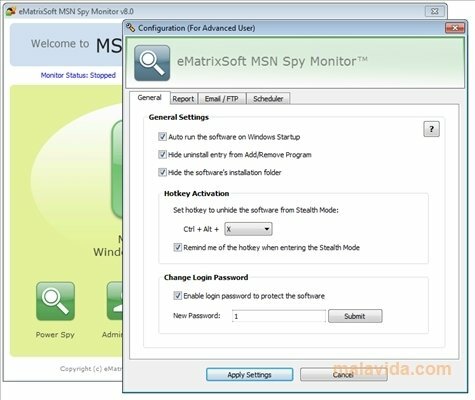 If you think it is necessary to control who your children or workers communicate with on the Internet, and you don't know the most invisible way of doing so, download MSN Spy Monitor right now. 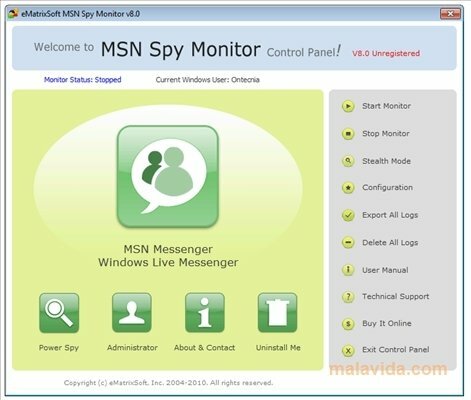 It is necessary to have Windows Live Messenger or MSN Live Messenger installed for this program to work properly. This download requires a ZIP compatible compressor. 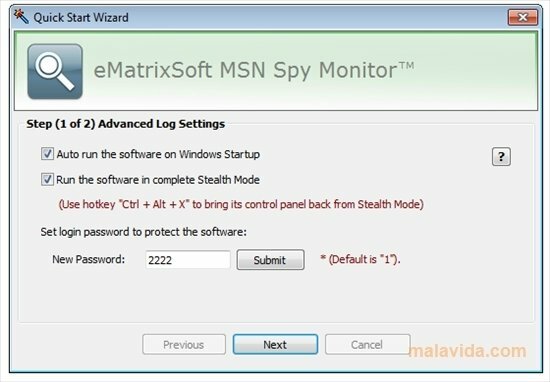 The trial version can only store 10 registries in each category.